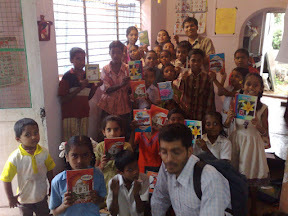 KA team members – Raghavendra, Ram and Sachin visited IndiaSudar tuition center at Hosahalli, Koppal on 9th August. IndiaSudar Tuition Center: We started this tuition center last year December, by deploying a teacher Ms Fatima and taking care of the salary. For the current academic year, we are continuing with the same teacher and she started taking tuition from Jul 2008. 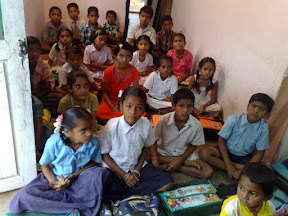 Currently, there are 31 students from (Std I to Std VII) in the Tuition center. We distributed few education stationery items (Notebooks, Pencils, Eraser, Sharpner and Pens) to the students in Tuition center. 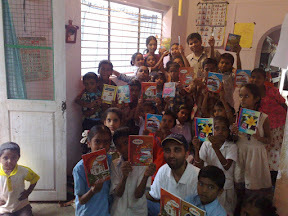 Government Primary School, Hosahalli: We also visited the Govt. 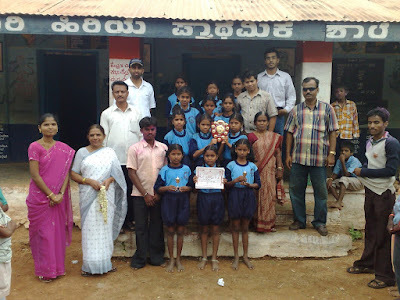 School in Hosahalli and requested the Head master to send more interested students to the tuition center. Headmaster also asked us to provide the list of students coming to tuition center, so that they can monitor their progress in school and give us the feedback. Ms Fatima will be sending the student list by end of this week. 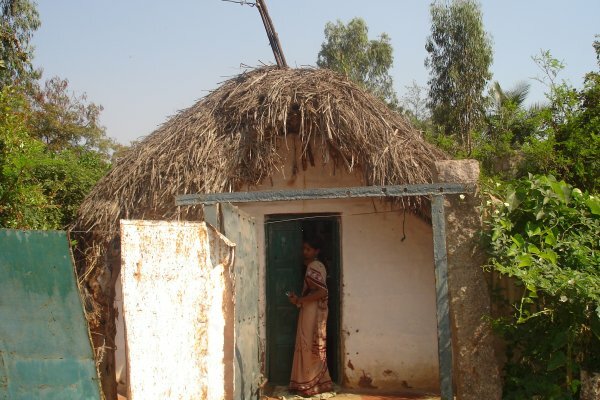 Mr Patil, a teacher in this school was mentioning about couple of students who have scored distinction (above 85% in Std X) and were struggling to study further due to poor background. 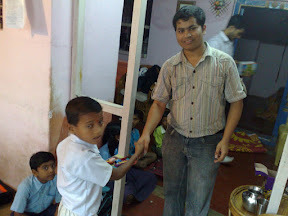 He requested us to help the deserving students. We asked him to provide us with details. On saturday, the school children had won “Kho-Kho” competition in cluster level and were celebrating. So he promised us to give the details by next week. Yasmeen, Poor Student: We met Yasmeen’s mother during this visit. Yasmeen had a cultural programme in her college and we could not meet her. There was a requirement for Textbooks and Uniform for Yasmeen. We got this requirement couple of days before we started this visit. So we donated Rs. 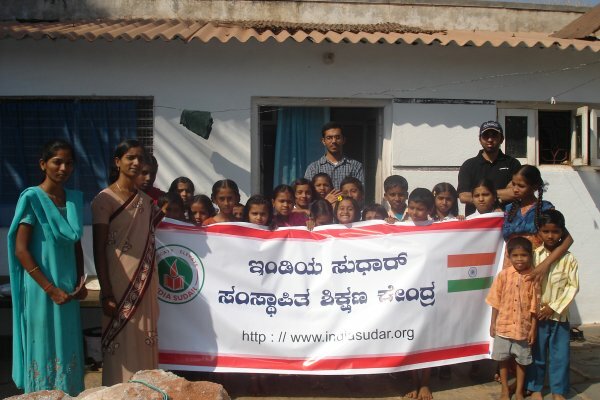 800 from IndiaSudar for Textbooks and Uniform. We will send reports for these projects executed above separately. Thanks to all the donors supporting for these projects and we request for your continued support.